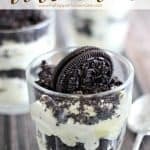 Did you know that my Dirt Cake Recipe is one of the most popular posts on my blog-it’s been viewed over 2.5 million times over the past couple of years, and with good reason-it’s easy to make and it tastes amazing! The only drawback of the original dirt cake recipe is that it really needs to chill a bit in the fridge before serving to taste best. I have been experimenting lately and finally found a great, fast dirt cake recipe variation that you can have ready in just 10 minutes!! How awesome is that? To get this dirt cake on the table in 10 minutes you’re going to need to multitask! Start by combining pudding mix and milk in a stand mixer and mix on medium for 5 minutes. While the pudding is mixing place your Oreos in a gallon freezer bag and crush finely with a rolling pin (my boys love helping with that part!) Add 1 cup whipped cream to pudding mixture and continue to mix until blended. Add 2/3 cup of Oreo crumbs to pudding mixture and stir until just blended. 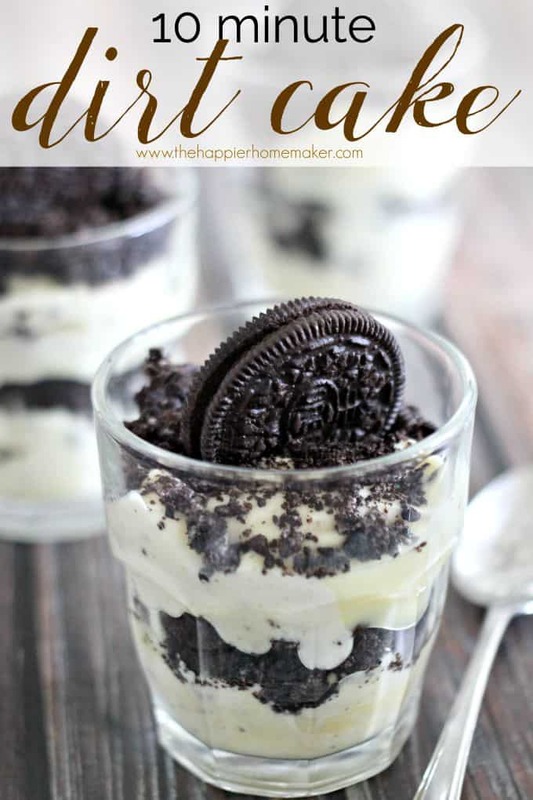 Layer pudding and Oreo crumbs in serving dishes or glasses and serve immediately or refrigerate until serving! While this recipe omits the butter and cream cheese of the original the overall flavor is very similar (and it’s actually less caloric too!) and the faster serving time was definitely a bonus! 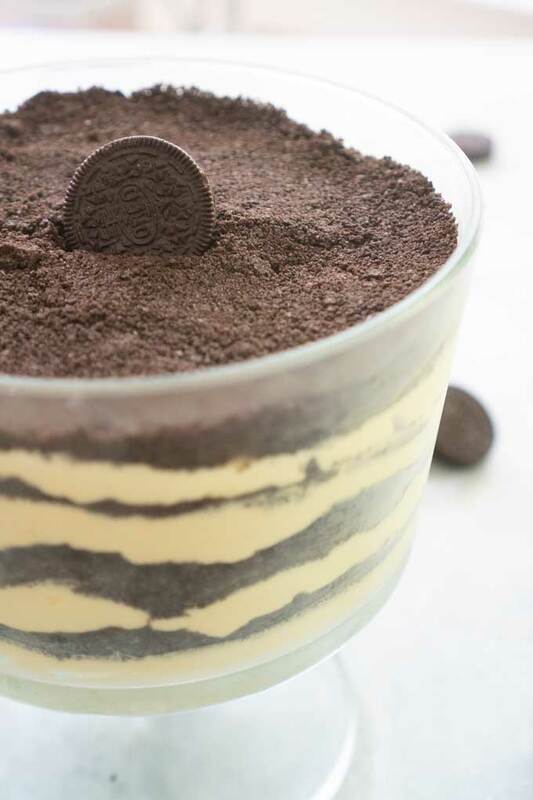 To get this dirt cake on the table in 10 minutes you’re going to need to multitask! Start by combining pudding mix and milk in a stand mixer and mix on medium for 5 minutes. While the pudding is mixing place your Oreos in a gallon freezer bag and crush finely with a rolling pin. Add 1 cup whipped cream to pudding mixture and continue to mix until blended. Add 2/3 cup of Oreo crumbs to pudding mixture and stir until just blended. 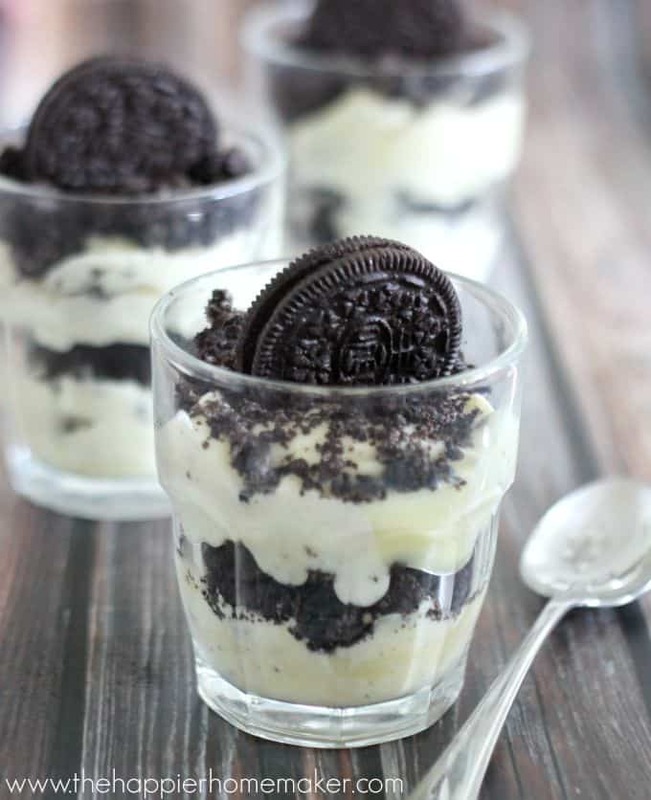 Layer pudding and Oreo crumbs in serving dishes or glasses and serve immediately or refrigerate until serving! 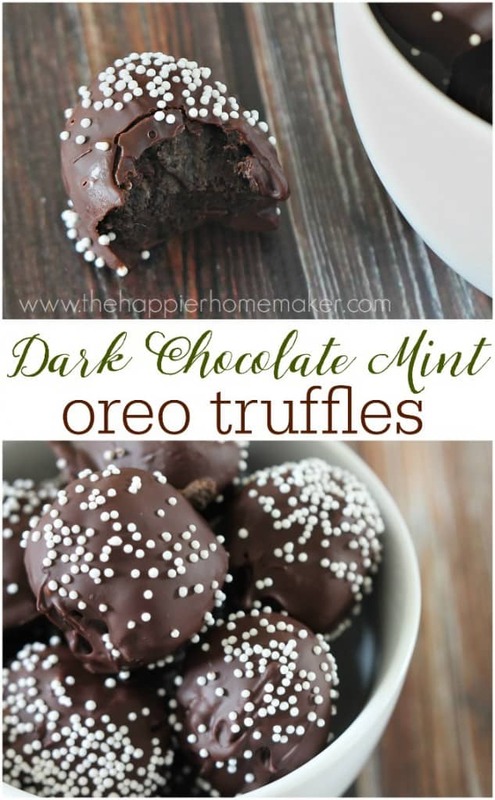 You might also like these recipes if you like Oreos! Yum! 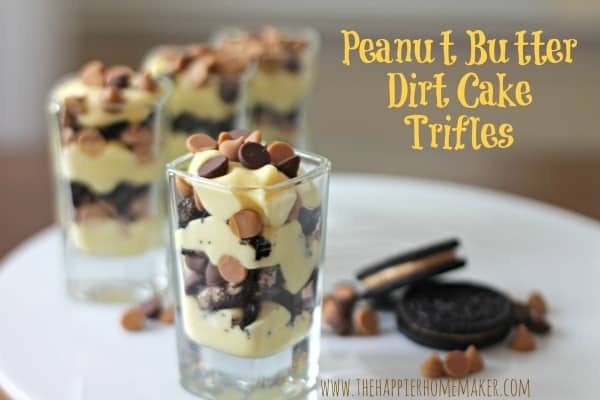 I love your dirt cake recipe, so I will definitely be giving this a try too!